How I wish, how I wish you were here / we’re just two lost souls, swimming in a fish bowl / year after year. One of the more intriguing elements of That 70’s Show is the status and nature of Fez within the series. Unlike the other regulars he lacks two signs of concrete identity. He’s the only member of the basic cast to lack either a given name or a surname. “Fez” is not a name, it’s a poorly spelled acronym taken from the words “foreign exchange student.” Though he is not an American, the show goes to great lengths to obfuscate his actual nationality. The show portrays him as a foreigner, but neither the audience, nor the other characters in the series, are allowed to know precisely where he came from. He is, in short, nameless and placeless; and aside from his personality traits, he appears to be distinctly lacking where the tangibles of identity are concerned. Now how might we explain this rather peculiar circumstance? In terms of the name, conceivably his name might simply be unpronounceable in English, or it might be inconveniently long. Conceivably Fez might come from some ultra obscure country with which the average person in Point Place Wisconsin could hardly be expected to be familiar. But there’s another explanation: Fez doesn’t exist even within the context of the show. This is not about how That 70’s Show is basically a palette swapped Fight Club. No, Fez is not a mere contemporaneous delusion: he is a construction after the fact, created and use for different reasons by Eric Forman and Jackie Burkhart. That 70’s Show has a serious continuity problem. If we treat the series as a chronicle of events taking place between May of 1976 and December of 1979, the show’s sequence simply does not work. There is sometimes a distinct lack of consistency in the series, there are a variety of contradictions and counter contradictions over the course of the show’s eight seasons. Characters are occasionally recast, and occasionally re-imagined entirely as was the case with Jackie’s mother, and the show features too many Christmases. There are two obvious explanations. The first is sheer denial that any such problem exists. The other, more interesting, explanation is that the events of the show are not contemporaneous. Meaning, the audience is not shown events as they happen. Instead the audience is shown events and people as they are remembered and discussed years after the fact. According to this explanation the fog of distant memory explains all of the show‘s continuity issues. If we presuppose that this option is accurate, Fez’s lack of a name or homeland suddenly stops being inexplicable. The initial conclusion engendered by the presupposition is that the characters have simply forgot his name and his home country. This conclusion seems unlikely. Fez is simply too close to the other characters for that explanation to hold water. He actually marries Eric’s sister, albeit out of a desire for citizenship rather than any kind of romantic attachment towards her. And, somewhat controversially, the series ends with he and the longtime object of his affections, Jackie Burkhart, in a romantic relationship. Perhaps his name cannot be transliterated into English, but it defies credulity that neither Jackie, who actually dated him for at least a time, nor Eric, his onetime brother in law, would have no idea where he had actually come from in the first place. In short, the fog of memory alone doesn’t explain why he lacks the signs of identity. However, the distance of time does point towards a more interesting explanation, one worthy of this site’s stated purpose. The distance of time allows for the possibility that he is a construction, a matter of wish fulfillment on the part of other characters. Fez is someone they wish had been there, but wasn’t. Fez as construction begs the question of constructor; if Fez is imaginary, who imagined him and why? Given the presuppositions inherent in the theory–if we assume that he is indeed a construct rather than an individual–the most likely creators within the rest of the cast are Eric Forman and Jackie Burkhart. Of the regulars Fez is the only one who is a bigger nerd than Eric, and he is the only one who fawns over Jackie. There are occasional auxiliary characters who fit the “more of a loser than Eric” role, and he is the last of three characters to date Jackie. However, within the main group of protagonists he takes the “loser” role, a role that arguably would otherwise belong to Eric. And while other members of the group date Jackie, she is consistently treated as the junior partner in all of those relationships. She is more endured than loved. And while she might be loved, she is hardly respected or admired by anyone aside from Fez. Eric is a nerd. He is obsessed with Star Wars, he reads comic books, and he’s a toy collector. And yet, even leaving aside the show’s central relationship, he’s rather romantically successful. The show demonstrates several one time rivals for his affection. Despite his interests, Eric is never portrayed as romantically unappealing, with one notable exception. After he breaks up with Donna, one episode concerns what amounts to an extended dream sequence which in turn is little more than an extended It’s a Wonderful Life parody. In the world where the show’s central relationship never happened, Eric is essentially Fez. This suggests that Fez acts as a kind of compensation for Eric’s less appealing qualities. Without Fez, Eric takes his place. Fez, therefore, at least partially exists to make Eric look less odd. Fez has a narrative arc throughout the series, but that arc is not particularly connected to Eric. His arc is about Jackie, and he is just as much her creation as he is Eric’s. Fez’s arc is a kind of modern replication of the Frog Prince story. On a symbolic level, the Frog Prince story is the tale of a girl growing to admire what she once found disgusting. Before the concluding metamorphosis, the Frog is continually begging to join the Princess’ side, and she is continually being forced to acquiesce until he is revealed to be a prince. Similarly, the terms of the Fez and Jackie relationship are established fairly early on the series. Sure, he’s at times almost disturbingly strange, but in his scenes with Jackie, he’s presented as a good dancer and a better kisser. In other words, he’s secretly a Prince disguised as a frog. The Frog Prince hints at the central difference between Fez and Jackie’s other boyfriends. He admires her, where they tolerated her. In her two previous relationships, however much Kelso and Hyde cared for her, she was the junior partner. Kelso routinely cheated on her. If we take Hyde at his word, he seemed to care for Jackie against his own instincts. At times he claimed his interest in her was purely physical claiming that his interest in her grew if he imagined her mute. Jackie’s status as the Junior partner extends beyond her romantic relationships. She’s the youngest member of the group, and in the show’s first episode Kelso’s friends beg him to abandon her. This disdain for Jackie remains a constant theme for much of the series. It is easy enough to imagine why Jackie might feel the need to imagine someone who actually admired her, and did not merely tolerate her presence. Fez’s at times worshipful attitude towards Jackie is almost certainly a reflection of that desire. Fez’s personality is at times divided between extreme oddity and covert desirability. He’s strange, but he has attractive traits. That divide suggests a tug of war between Jackie and Eric over who this imaginary person was. Eric wants to present his teenage self as cooler than he was by comparison; Fez was the nerd, not him. In contrast Jackie wants to imagine herself falling for someone who actually looked up to her. Eric constructs Fez out of pure embarrassment. Jackie’s motivation is hidden in her surname. The name Burkhart is very close to the words “broke heart.” The other men in her life either abandoned her, cheated on her, or were incapable of committing to her. It is easy enough to imagine Jackie decades later, broken hearted and alone. Why wouldn’t she pine for the admirer who was never really there? Fez is her attempt to turn a tragedy into a fairy tale, but even she knows that her wish can never come true. This is why she can never give him a real identity. He’s naught but a shadow of what should have been. A recent graduate of the College of Wooster, Will O’Connor’s last great work was a 102 page paper on the ideological evolution of fairy tales from the Brothers Grimm to Mighty Morphin Power Rangers. As an adjunct to your theory, I posit the possibility that Eric and Jackie were in fact lovers in the show’s “actual” reality, and everything we see in the episodes are merely post-hoc reconfigurations from the bitter ex-lovers. This would not only give a motive for creating Fez as a figment of their respective imaginations, it would also lend insight into Jackie and Eric’s mutual disdain for each other. I motion that each episode of ‘That 70s Show’ is the sum of two heavily biased accounts conjoined in a way that gives equal footing to the show’s unreliable, inaccurate narrative. If these two heavily unreliable accounts were conjoined, it’s not hard to see how a fringe figure in their lives like Fez could and would be used as a catch-all for the protection of their egos. This possibility would also help explain why they’d distance themselves from each other in their stories while simultaneously making each other look as bad as possible in them. I also had to factor in an unseen relationship between Eric and Jackie to explain the idea of a shared Fez-construct. Your bitter breakup angle pulls it all together for me. I think the idea of a relationship between Eric and Jackie is an interesting possibility. And I’m almost sorry I did not think of that idea myself. This is a much better explanation for why both Eric and Jackie would be the ones to create Fez. Indeed, originally I had imagined that the process was akin to a hijacking. Eric created or constructed Fez, and Jackie took over. But the idea of a relationship does provide a nice reasoning behind a shared construction, if for no other reason than what I say implies contact between the two in later years. Still, I have slight reservations. I know there is a problem with all unreliable narrator theories,namely that we can never really know whether there’s even a grain of truth to what we’re seeing. But, Fez aside, if there’s anything real at all in the memory and constructions we see in the show, it has to be Eric and Donna’s relationship. I do not mean all the particular details. I simply mean that Eric lived next door to Donna and they dated in High School. The show places such a strong emphasis on this that one must conclude that if reality has crept in at all, that basic set actually up happened in the show’s *actual reality*. If Eric and Donna dated, I do not know precisely when Eric and Jackie could have become boyfriend and girlfriend, assuming that’s what you mean rather than some kind of ongoing affair. For me “That 70’s Show” has always been a show about memory/nostalgia. That is the only way to explain the numerous contradictions that pop up all the time. The fact that all the main characters smoke pot regularly probably causes even more memory problems. I could believe that the series is a product of the six main characters (Eric, Donna, Hyde, Kelso, Jackie, and Fez) flawed memories rather than the memories of both Eric and Jackie. I don’t buy into an Eric/Jackie relationship. Jackie is portrayed as too terrible of a person for her to be giving us 50% of the narrative. Also, the series hinges too much on the Eric/Donna relationship for it not to be a collection of at least their memories. Personally I think the story is probably not being told by Jackie at all. We don’t get many stories lines in which Jackie is completely alone or cut off from the group. She is usually with one of the other main characters. Fez has a similar problem. He does not get his own separate story very often. In addition it is strange that Fez’s real name and place of origin is never mentioned again, but this might be due to his Americanization. Fez refers to himself as “Fez” all the time. When he became an American I willing to bet he just took the name Fez and never looked back. As for his home country, Fez does not seem to have any great love for his home country frequently saying bad things about it. He might be trying to distance himself from his home to become a full-fledged American. The gang probably does known Fez’s real name, but they prefer to use the nickname. After all, the male characters in this series rarely call each other by their first names; Eric, Steven, and Michael, are usually called Foreman, Hyde, and Kelso. Heck, Red’s real name is Reginal. Also, I doubt Kitty’s real name is Kitty, but who knows. However, since Jackie and Fez both end up together at the end of the series it could be possible that the reasons so little is known about them is because they separated themselves from the core-group after the last episode and 30 years later they were not around to insert their perspective in the narrative. This would explain why Jackie comes off as bitchy and why Fez comes off as weird. It is my theory that “That 70’s Show” is told by Eric, Donna, Hyde, and Kelso. This makes sense considering the first scene of the series contains these four characters. In addition their overall portrayal seems reflect the series narrative the best. hangs out at his place the most. Hyde even lives in the basement for most the series anyway. Since Donna lives next door it makes sense that her parents would be involved in the series more as well. The parents most often seen in the series are Eric and Donna’s parents because, again that’s where the gang hung out, however that switched to the record store the last few years and Hyde’s dad took on a larger part of the series. Kelso is not represented as well as Eric, Donna, and Hyde in the series either, but this could be the result of him being an idiot even in the present where they are trying to remember details. After all Kelso never seems to mind being dumb, as long as he is thought of as good looking, and the series goes a long way in depicting him as a ladies man. In addition it is showed several times that Kelso’s memory is probably the least reliable especially in terms of what women say to him. The other three probably do most of the remembering for Kelso. Eric, Donna, and Hyde are effective neighbors for about three or so years. They would therefore be able to remember the same things, and be able to create the stronger narrative threads. Since both Hyde and Kelso dated Jackie and then broke up with her it makes sense the narrative would show her as bitchy. 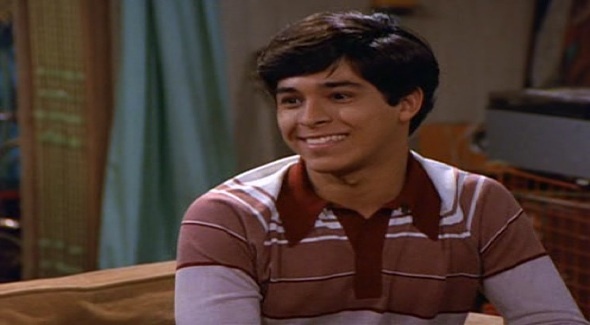 Eric is in the greatest position of the four to know Fez’s name since he was briefly married to his sister. However, Fez is closer to both Hyde and Kelso. Kelso has too big an ego and is too dumb to remember Fez’s real name and Hyde does actually say that he cannot pronounce Fez’s real name. Eric admits the same in a latter episode. In another episode Donna is shown trying to remember Fez’s full name and is clearly confused. Since the first season has love triangle thing going on with Eric, Donna, and Hyde is shouldn’t be a surprise that the series came to hinge of that Eric/Donna relationship. Hyde would have a strong memory of those events too! To some extent Hyde might have been waiting out the relationship and therefore remembered it better than he normally should have. A similar reason could explain why so much is known about the Kelso/Jackie relationship. Hyde was watching the relationship closely, but probably because he wanted to end because he hated Jackie in the beginning. That 70’s Show must be the result of several memories from at least three sources, but I suspect it’s four, maybe even five as it seems likely one of the parents needed to supply some the back story for when the kids were not present. No matter what the combination, I doubt Jackie or Fez had much if anything to say in the overall narrative. I enjoy reading different theories, I just want to point out about Fez’s name. I can’t remember off the top of my head which episode it was, but the episode where they are reminiscing about how they met, they tell the story of how they found Fez hanging from a hook inside a closet at school, which then causes him to start following them after his rescue. At this point the guys ask what his name is and introduce themselves. He tells them his name at this time, which coincides with the school bell ringing so the viewers can’t hear what his name is but is implied that it is extremely long. Once the bell stops ringing Hyde makes the comment that he was never going to remember that and they were just going to call him Fez. I haven’t watched much ‘That ’70s Show’ but all I could think of while reading this article was the similar dynamic in ‘Saved by the Bell’. So I propose an ancillary argument that Screech also does not really exist, and is instead a construct of Zack and Lisa’s imaginations. Nonononono, there was way too much that Screech was directly responsible for. Their roles are similar, I’ll give you that, but in terms of impact on plot, espcialy in the Seasons 1-2 “Screech as a genius” days, before the seasons 3-5 “Screech as a retarded person” era. If you wanna overthing something rfom SBTB, go with the disappearance of Kelly and Jessie when Tori showed up, Ed Alonzo’s abandonment of The Gang, the mystery of why Zack, Screen, Lisa, and Mr. Belding moved to Bayside from Indiana, or why Mr. and Mrs. Morris were each in a few episodes, but never together. Okay, then I’ll alter my original argument. Instead, I propose that the kids from SBTB grew up to be the cast of Friends, but when they think back to high school what they remember is That 70s Show. Ross/Screech was just so weird in high school that they have to imagine him as a separate person/foreigner so Chandler/Zach can pretend his bad treatment of him in high school didn’t happen and so Rachel/Lisa can rationalize her affection for him now. Likewise, the Friends remember Phoebe as Kelso, because they can’t otherwise reconcile her current conduct with straight-laced Jessie; they don’t want to acknowledge the mental breakdown she had after college. Due to this, the Slater/Jessie romance is re-cast as the Kelso/Hyde bromance. Yes, I realized this was an extremely weak argument before I started writing it, and yes, I used bromance in a sentence. I am not ashamed of either of those facts. I saw a video on Cracked.com that depicted Mr. Belding as a creepy stalker of Zack Morris. He is way too interested and obsessed with Zack. At least Screech is desperate for a friend. Fez’s attraction for Jackie would make sense under Eric’s view. Eric views liking Jackie as an uncool thing to do. It fits. The medium is the message. There are many narratives one can overthink but a t.v. show simply is not one of them. A t.v sitcom’s plot will never consitently make sense as it is not written by one, but multiple writers, overlooked by execs and producers (even advertisers have a subtle say) and more importantly, the audience plays a role in plot changes. if a character or scene receives negative reviews it is writen off or changed for improved ratings. Originally, when coming up with the pilot, the main writers’ realized that there is a slim chance of a pilot even airing let alone becoming a long running show. If they figured it would remain popular for nearly a decade they would have began the series in 1970. Instead, the audience has to “suspend their disbelief” that it remained the late ’70s for so long. (it would be much worse to extend the show into the 1980s) Similarly, had they foreseen the show’s longegivity and the audiences’ continued engagement with all the initial characters they perhaps would have given Fez a full name and ethnicity. Erik never showed any shame at having certain “nerdy” characteristics, he never hid his action figure collection, spoke openly of his Star Wars obsession etc. And its not as if his nerdiness stopped him from getting a hot girlfriend, and a group of friends who basically centred their social lives around him, even getting involved with his somewhat overbearing family. Therefore, it’s highly doubtful Eric would feel the need to make up a “loser” character simply to boost his self esteem. Jackie, on the other hand is as mentioned in the article more tolerated than loved by the crew, but if this actually affected her psyche she would perhaps have been less bitchy in order to gain respect or love. She is shamelessly mean and conceited. Her character is like those girls in real life who always are in a relationship, so it makes somewhat sense that she’d end up with Fez as her being single for a significant amount of time would be much less realistic. A lot of interesting points were made in your article but I simply doubt Fez is a figment of both Eric and Jakie’s psyche, the show is meant to be a lot more light hearted than that, and is best enjoyed when it’s not taken too seriously. I would like to propose, instead of being an imaginary character, Fez is actually there, but he is not what is shown. He is just a foreign guy who hung out with the group, but everyone just passed either their insecurities or things they could remember who did it to him. As the show has pointed several times, a huge percentage of what Fez says is understood by no one, so maybe his grasp on english was worse than the series portrayal, and what he says during it’s runtime was the others putting words in his mouth. I’ve read this article a couple of years ago but thought it would be pointless to comment because it was old. Since then, the number of comments here has about doubled… My theory is in the same direction as yours, but still different: I think Fez wasn’t a specific person, but the gang’s nickname for ANY foreign exchange student they knew. After 20 years, the gang can’t tell these people apart, especially if, as someone has suggested above, Jackie isn’t one of the narrators. It’s possible that the Fez who dated Jackie wasn’t the same one who married Eric’s sister. Why is everyone, including you, ignoring the fact that Fez says his real name in a flashback episode where the gang recounts how they all met each other? The school bell rings as Fez says his name and Hyde says something to the effect that they aren’t ever going to remember that and so, the nickname Fez was born. How does it contradict what I said? Maybe this is what happened with the first Fez, but he returned to his homeland after one semester or year, and the nickname carried on to other foreign exchange students. What I’ve always thought about the nameless and homeless Fez is that (especially in the 70’s) USA loved itself too much to even think about other places and others cultures, so basically the characters never paid attention to Fez when he talked about it. The thing is, I see it as a joke about how americans used to see foreigners: they are less than us, they live in a jungle, they kill and eat each other. Anyway, the fact that even Fez talks about him and his country like that mentions that that’s all the americans can hear. It’s an interesting theory and I can see how you came to it, but there are a few reasons that I can’t quite buy it. One of them is that Fez has storylines of his own that take place largely separate from the other characters and are related to them afterwards. If he’s an invention of Eric and Jackie, especially created for selfish reasons, why would they bother? Also, Fez is actually fairly successful with women (arguably more than Eric) which seems an unlikely trait for him to have in either Eric or Jackie’s constructions. Then there’s the scene apparently from Kitty’s point of view in which she’s imagining what might be happening at home while she and Red are away – Fez is present in her imagination (as a suave and vaguely menacing figure, no less). I suppose this could be Eric imagining what his mother might have thought, but again, why would he bother to go into that level of detail? And why would he make Fez cooler in Kitty’s imagination? But the big problem with the imaginary Fez theory is that for it to be true Eric and Jackie have to be completely in control of the narrative – and they’re clearly not. If Eric has so much control over the story that he can not only invent an extra character but make him integral to huge events in everyone’s lives, like Red’s heart attack, why not just make himself cooler? And why doesn’t Jackie just make herself more equal in her other relationships? These seem more likely responses than inventing a whole new person. More likely Fez was real but became a vehicle for the gang’s various insecurities and prejudices when viewed through the distorting lens of time. Anyone knows if the way Fez talks (with that strange lisp) was written in the role or this is how Wilmer Valderrama actually talks.